There are many reasons why I cannot think of anyone more suitable than Charles Taylor for the inaugural Berggruen Prize in philosophy. For a start, his range of concerns takes one’s breath away. Cutting across specialist boundaries, Taylor has written illuminatingly about a wide spectrum of philosophical topics in moral theory, epistemology, philosophy of mind, philosophy of language, aesthetics and political theory as well as on the history of ideas and the history of pol­itical and social thought. He draws upon and speaks insightfully on a wide variety of philosophical traditions—at ease equally in the Anglo-Saxon analytical tradition as he is in the Continental tradition. Richard Rorty once remarked that Charles Taylor is the Hegel of our times. This is only partly true. The similarities are many. Like Hegel, Taylor thinks big, connecting disparate things, bringing them together to see the whole picture. Like him, he is a philosopher of modernity. Yet, Taylor’s thinking departs significantly from Hegel’s approach. For example, Taylor is not a compulsive systematiser. And quite unlike Hegel, he writes with remarkable lucidity. His philosophical style is genuinely conversational, deeply pluralist and always marked by a lack of finality. Unlike Hegel, Taylor reaches out not only to the specialist, to people in his own philosophical circles, but to the wider public. But what separates him most from Hegel is his constant attempt to escape Eurocentricity, not by a superficial leaping towards other cultures but by slowly shrinking the centrality and significance of his own, by putting his own world in its place. The primary acceptance of diversity: that common Hindu stance is what Cantwell Smith saw in the ’40s. And that, in turn, coloured Taylor’s views. I will mention one example: Political Secularism. 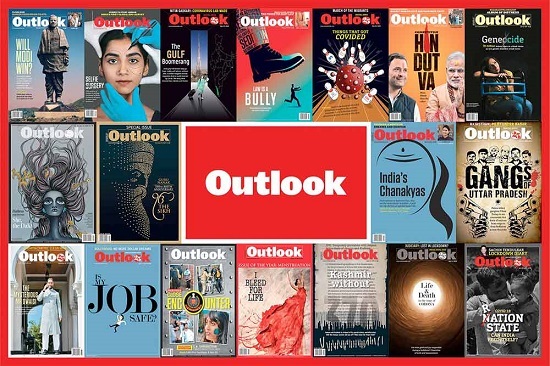 In the article for Outlook he wrote a few weeks ago, he mentioned generously that my own work on Indian secularism has shaped his thinking on the issue and that this Indian conception is better for his own society than the one it currently has. The matter, I am afraid, is far more complicated. Readers may forgive this det­our but I believe it is relevant to our discussion. In the 1940s, a Marxist called Wilfred Cantwell Smith, a student of world religions, lived in Aligarh and Lahore where he studied Islam but also threw himself wide open to the world of ancient Hindu traditions with their mind-boggling diversity. Cantwell Smith found that while diversity exists in every tradition, ordinary Hindus do not even aspire to unity and are content to cherish their diversity as it is. Himself a Protestant, Cantwell Smith perfected the art of looking at religious traditions from the perspective of those who lived them, from the inside. Years later, in the mid-’90s, stunned by the insights of Cantwell Smith’s masterpiece, The Meaning and End of Religion, and in the ill­usion that political philosophers like him could not have been acquainted with his work, I excitedly began telling Charles about my discovery. What followed was unexpected and humbling. Not only did Charles know the book well but Cantwell Smith was one of his more influential teachers at Montreal! So, here is what happened: India’s rich diversity had an impact on Charles Taylor via Cantwell Smith. And he in turn has influenced innumerable people like myself in understanding the meaning and significance of diversity. This is how ideas circulate. What Cantwell Smith received from India, he passed on to Taylor, and what Taylor received from Smith, he passed on to or reinforced in his Indian students. Without his theoretical work, a conception of distinctive Indian secularism as, among other things, a response to religious diversity rather than as born out of battles with the church could not have emerged. Intellectual circles are much larger than we imagine! The society’s fundamental framework is now of this world, and not transcendent. Even belief in God occurs as one option within this. Taylor’s legacy in the social sciences is profound. His persistent and definitive critique of positivism is acc­ompanied by a careful construal of a philosophical anthropology. For Taylor, human beings are deeply social and historical, self-interpreting, strongly evaluating animals who are at once necessarily embodied, almost always expressive in pre-reflective and reflective media and prone to ever-richer articulations of their own condition. Equally powerful is his impact in moral and political philosophy. I can very quickly think of at least four areas where he has left an enduring mark. First, his original and creative response to Isaiah Berlin’s piece on freedom where he argues that the real issue before us is not to choose between negative or positive liberty but rather to articulate a vision of society that embodies a defensible view of freedom as self-realisation without falling into totalitarian exc­esses. Second, his incisive critique of a liberal-individualist conception of rights in which he argues that it fails to acknowledge the broader ethical horizon of a plurality of values which underpin it and with which it must coexist. Third, his insistence that moral reasoning is a form of practical reasoning, a reasoning in transitions which aims to establish not that some pos­ition is correct absolutely but rather that it is superior to some other plausible position within a certain context. Fourth and finally, his own very distinctive brand of deep pluralism that makes him deeply suspicious of doctrines driven by a single principle. An even more amazing quality of Taylor is his capacity to change the terms of debate virtually every time he intervenes in any. This is evident most strikingly in the Templeton award-winning A Secular Age (2007), perhaps his most influential work. The debate had thereto focused on whether or not the state is or should be secular (secularity 1) or on whether or not people have become secular, i.e. turned away from God, and whether social institutions and practices make reference to God or the Church (secularity 2). Judged by the first, the US, France, Ataturk’s Turkey, Nehru’s India and Communist countries are secular and virtually the rest of the world is not. By the second norm, even the US is not fully secular. But Taylor arg­ues there is a third sense (secularity 3)—deriving from the conditions of belief—in which the US and most of Europe have been secularised. Taylor writes, “The shift to secularity in this sense consists, among other things, of a move from a society where belief in God is unchallenged and indeed, unproblematic, to one in which it is understood to be one option among others, and frequently not the easiest to embrace. In this meaning, at least many milieux in the United States are secularised, and I would argue the United States as a whole is.” That is, society’s fundamental framework has now become immanent, of this world, rather than transcendent. Even belief in God today occurs within this immanent world. This analysis has altered the way in which we think about the secular. People who are not ‘religiously musical’—and here I include many adherents of religion—fail to understand Taylor’s Catholicism. Convinced that there is only one way of being Catholic, they tend to straitjacket him into a stereotype. Taylor’s own Catholicism colours the way he is, lives, acts and believes but it does not determine him. He is remarkably open to other religious traditions, particularly to the Buddha. He understands too that profound divergences of religious beliefs and practices coexist with equally profound similarities in faiths. To have a particular faith, for him, is to be simultaneously open to other faiths, including faith in the human spirit and reason. Like any deep and complex thinker, it is hard to pin Taylor down to a single philosophical outlook. He is certainly immune to classification. He is deeply modern, yet draws upon ancient philosophers and is acutely conscious of the morally ambiguous legacy of modernity. He is profoundly humanist yet cannot submit to the view that the source of all that we value lies exclusively in human beings. He is frequently labelled a communitarian thinker and yet it is hard not to think of him as a liberal in the best sense of the term. He is steeped inescapably in western civilisation but shows a remarkable readiness to be open to other outlooks and civilisational resources. He is a constant source of inspiration for those who are in search of alternative modernities. Taylor is a remarkable thinker not least because there are few ideas that he completely rejects or for that matter wholly embraces. He is able to do so bec­ause, though he stands on one side, he helps us to ima­gine what it’s like to be on the other. Taylor almost always helps us to see from both sides of the fence. What he says about the pragmatist philosopher William James is equally true of Taylor himself. He may come down on one side but without leaving us bereft of the force of the other side. Commenting on James’s view on the struggle between belief and unbelief in the modern West—which Taylor believes is unli­kely to end in a decisive victory in favour of the one or the other—he says, “James is our great philosopher of the cusp. He tells us more than anyone else what it’s like to stand in that open space and feel the winds pulling you now here now there. It needed someone who had been through a searing experience of morbidity and had come out the other side. But it also needed someone of wide sympathy and extraordinary powers of phenomenological description and one who could feel and articulate the continuing ambivalence in himself.” Taylor, likewise, forces us to catch both horns of a dilemma without fully compelling us to let go of any one. Which is why Isaiah Berlin called Charles Taylor not only a noble, gifted and deeply interesting thinker, but a man of total intellectual and moral sincerity and unswerving integrity.